A common myth is leaving out a dead wasp will repel other wasps. 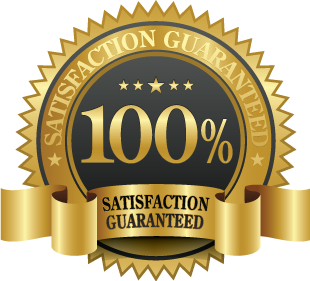 Many professional consider this idea an old wives’ tale. Wasps do not show any changes in their behaviour when surrounded or interacting with dead members of their species, even from their own colony. Wasps are carnivorous insects but they too have predators including larger insects, amphibians, reptiles and birds. 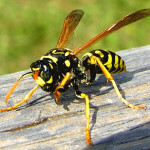 There are a number of birds that will eat wasps given the chance while other species appear to have an affinity for wasp or wasp larvae will specifically seek out nests to feed. 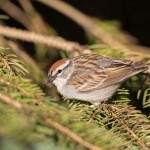 Examples of birds that eat wasps include chipping sparrows, gray catbirds, warblers, orioles, bluebirds, chickadees, blackbirds, starlings, wrens and nighthawks. Most birds are insect eaters so this is not an exhaustive list. Given that birds prey on wasps, one may wonder whether the birds don’t get stung or aren’t affected by wasp venom. Like most other creatures, birds aren’t necessarily impervious to stings and employ interesting measures to feed on wasps. Most birds go after solitary wasps such as the mud dauber. Solitary wasps tend to be more docile and rarely sting. 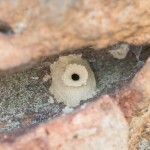 These types also rarely defend their nests so birds have free reign to enjoy wasp larvae. The birds are also less likely to be stung by a swarm of wasps which is likely the case when attacking social wasp nest. Others birds such as the tanager graze the wasp against a tree bark which breaks the insect’s stinger. Honey buzzards love grubs found in the nest and stick their head into the nest with no apparent problem. These birds have defences against wasp stings including dense facial feathers and a sedative chemical that they secrete from the feathers to disorient the wasps and turn them docile. It is prudent to point out that a ‘bee wasp’ is not a correct term because ‘bee’ and ‘wasp’ are two different types of insects, also different from the hornet. Here, therefore, are three distinct types of stinging insects; bees, wasps and hornets. How Do Wasps Build Their Nests in Cars? 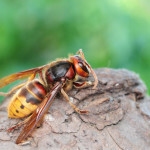 Many people have been surprised to find wasps nesting in the car in Toronto, usually behind the rear lights, in the trunk of the car, grille, inside side mirrors, in the front headlights or in the door. This is especially common if you haven’t used your car for a while. 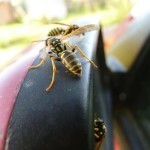 It is however not uncommon for the wasps to nest in a freshly cleaned car or a car that was running just a few hours previously. Do Wasps Return To The Same Location Every Year? Wasps are seasonal insects. They begin their life in early spring when the queen lays her eggs. They peak around summer and the hive dies off by winter except for the queens who hibernate to start the process over again the next year. The question is whether they will return to the same location is a complicated one. Technically speaking, wasps do not return to the same location every year. This is because they do not reuse old nests. The wasps only use their nests once in a lifetime so if you can wait them out, there is a good chance that your problem is over permanently. Things are however not always this straightforward. 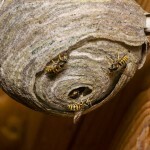 The wasps built the nest in your yard or home because it is an ideal location. A different queen may think the same thing and invade another area close by that is equally as desirable. 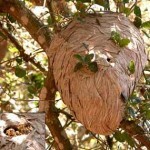 Although wasps do not occupy empty nests, they may recycle the material from the old nest to build a new one close by. Do Wasps Make Honey or Any Similar Product?